Putting a live frog inside your mouth, taking a tooth from a corpse, sucking cloves or drinking water from Holy wells were the most common cures for toothaches in 19th and 20th century Ireland. New research by Dr Carol Barron, Assistant Professor, School of Nursing and Human Sciences, DCU and Research Assistant Tiziana Soverino analysed the many cures used to treat toothache, one of the most common ailments during this time. The findings are published in the Journal of the History of Dentistry and are taken from an analysis of narratives contained in the Schools’ Collection, a folklore collecting scheme that was undertaken in the Republic of Ireland in 1937-38. It is the largest collection of medical folklore in Europe, taking into account nearly half a million manuscript pages overall, recorded in both English and Irish, which were subsequently re-ordered into 1,128 manuscript volumes. It includes over 250,000 stories gathered by school-children aged 10-14 in this time. A total of 6,847 cures were sampled from the collection of which 405 were toothache cures and classified under three specific categories: plant and mineral cures; quasi-medical cures and magico-religious cures. Salt and water were two of the most widely-used substances while, not surprisingly, the humble potato was also deployed to provide relief with the toothache sufferer carrying it in their pocket as an amulet to ward off toothache. Another common cure was to place a frog in the sufferer’s mouth and to repeat religious blessings during this ritual. The use of frogs was founded on a belief around their healing powers, interaction with water and the idea they could draw away pain from the sufferer by transference. Packing the infected tooth with tobacco was one of the most common quasi-medical treatments. Inhaling hot smoke was also an option, owing to the common belief that toothache was caused by a tooth-worm. Considering the social context of Ireland at this time, religious elements played a significant part in sympathetic magic cures. Speaking about the findings, Dr Carol Barron said: “The sampling of a large national folklore survey identifies the importance of folk cures for toothache, the third most commonly recorded ailment at this time in Irish society. It is a fascinating insight into the social culture at this time and also the transmission of ancient wisdoms and folk cures from one generation to another. All of the remedies should be set against the wider social and historical background to which they belonged and to notice how embedded they were in everyday life. The same cures were used quite frequently across the 26 counties with some minor variations, but overall there was a consistent trend. 42% of all cures fell into the magico-religious categories drawing on sympathetic magic and specifically homeopathic and contagious magic. Plant and herbal cures accounted for 30% of all toothache cures. 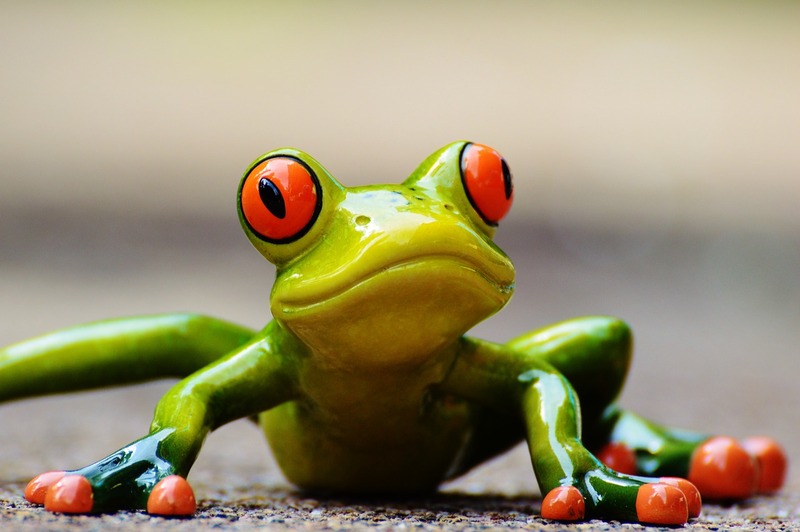 Frog cures for toothache were used over 50 times and were found in 23 out of the 26 counties of Ireland, with sufferers believing that putting a live frog in their mouths would transfer the toothache to the frog. Ceremonial religious words were also chanted during this phase. Twenty cures were focused on Holy wells and the healing power of water. Among the plants used to treat toothache in this study, tobacco and pepper dominated with 24 and 18 cures respectively while pepper and mustard were used in 18 and 9 cures. Pepper was popular for toothache due to tooth decay. Potatoes were used to ward off disease, with the sufferer carrying a potato in their pocket as an amulet. Anything potato-related was also deployed to treat the infected tooth, such as the water that potatoes were boiled in, or cooked potatoes. Chamomile, a native plant, was used as a painkiller while ginger, which was not native to Ireland, was used in certain limited cases. Alcohol was used in only five cases, with whiskey the most frequent option. Packing the tooth with tobacco was also popular, as it lessened the exposure of the nerve, while cotton and iodine were also used. Smoke inhalation was high on the list, with the possible belief that toothache was caused by the tooth-worm and, therefore, that smoking would kill off the tooth worm. Creating a poultice and rubbing it on the jaw was also used. There were limited cases of tooth extraction which were performed chiefly by using a thread and a cord and a blacksmith’s anvil to pull a tooth.